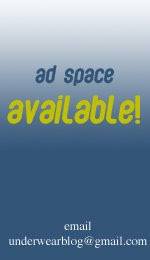 As you may have noticed, there are now ads on the blog. Currently there are ads for RIPS and Mensuas on the site, so why not check them out. I know some of you may not enjoy having ads, but really the financial support is greatly needed in order for me to keep this blog running and be able to put as much time into it as I do. I really appreciate all your support and I welcome your feedback on this. I am trying to make it so that the ads do not detract from the blog so I do not think there will be very many more than there currently are. If you would like to advertise here drop me an email. Also, Mensuas is currently has a great deal going on that really ties together both the sponsors very well (and it's just a coincidence). This promotion is only available at Mensuas. The deal is... Buy any two RIPS items and get a RIPS Baseball Hat free with your order (while supplies last).